Tagged under Namori, Dogakobo, Series. There aren't that many people into this girls liking girls stuff, but perhaps it's hard to look away Yuruyuri's hilarious comedy. If it sounds like there isn't a plot to this one, you'd be right. This adaptation of a short-gag manga plays out like one, the goofy content is essentially what one would get if one crossed Lucky Star with K-ON!, or even Hidamari Sketch. The artistry and animation are deliberately very basic - and that works to the content's advantage in a couple of places - but the succession of gags is usually so funny that it won't matter. No one will find any real depth here, but anyone who leaves without a smile is probably the kind of person who thinks its predecessors are unfunny slops. If that's you, then this is one series you'd probably best avoid. 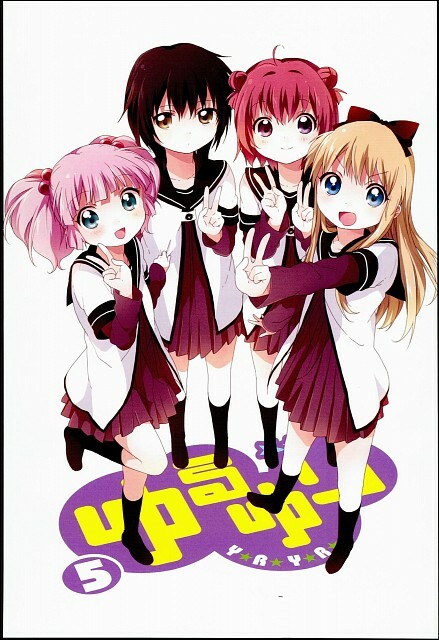 No feedback on Yuru Yuri.